Hi guys, Airtel #1500 for 3gig has been one of the cheapest data plan in Nigeria .Am glad to bring to you guys, the new development in affordable browsing. It is the Airtel BB10 plan of N1000 for 3gigabyte of data which could also be used on non BB device like android devices, since Airtel restricted the blackberry plan for only blackberry users and most android and PC users finds subscribing to the plan useless because they can't use it . i am glad to inform you that you can now use this bis plan on your android and PC.You can save N500 and suscribe to this plan for 3GB instead of N1500 for the same 3gig. 2. Has its Imei changed to BB10 Imei number. Note : This Airtel blackberry plan of N1000 for 3GB doesn't consume data like the normal Airtel android plans, It charges you normal bandwidth rates. It's no longer news that the Glo Bis consumes data since its increment from N1000 to N1400 for 3GB, lots of people are complaining when they download a file of 5MB, Glo charges 10MB. It's sad Glo is using the Glo bis plan as an advantage to make more money from its subscribers. If the random three digit you choose is correct, it will display IMEI number is valid. But if the random digit is incorrect, you will get IMEI number is not valid! Step 3: If you are new to IMEI Tweaking check out this post Android IMEI Tweaking ,its quite very simple and easy. 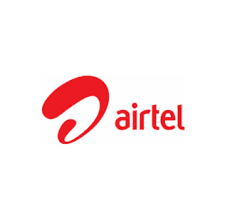 Step 5: Set your Airtel internet connection to default. Feel free to share this post with your friends using the Share or Like button.If you have any questions or issues, kindly drop a comment below. Hope this info helps? Its still working on android devices with BB10 IMEI and not BB IMEI.